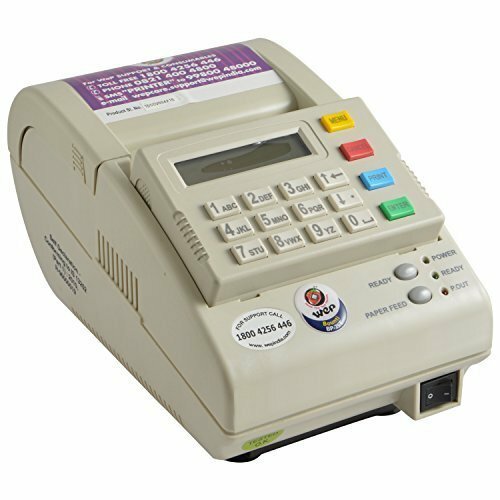 Manufacturer of a wide range of products which include billing machine. Finding applications at bakeries, hotels, restaurants, food chains, Juice and Ice cream parlors, coffee shops, canteens, vending machine chains, kirana shops etc, the printer in display is made from ABS plastic, finished in white and has a storage capacity of 2000 entries. Furthermore, it also has a provision for VAT and discount calculation and PC connectivity.